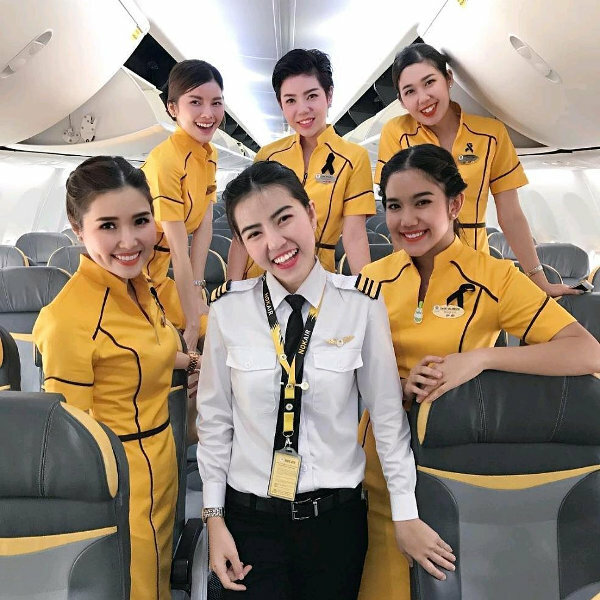 The friendly cabin crew of Nok Air welcome you with open arms and ensure you have an enjoyable flight. Their ‘service with a smile’ motto ensures that you arrive at your destination with a smile on your face. You can’t help but be charmed by the innovative designs of Nok Air’s planes. Their trendy feel and vibrant colours make you forget you’re stepping onto a plane. Each airplane is uniquely designed to reflect the service personality of the airline. Whether you’re sending a business email or uploading your favourite holiday pictures, take advantage of Nok Air’s free onboard Wi-Fi, on their selected Boeing 737s. Nok Air is a low-cost airline operating mostly domestic flights throughout Thailand. Since launching its first flight in July 2004, Nok Air has expanded its fleet size to 30 aircraft serving over 35 destinations. Given the quirky, vibrant designs on all of their planes, it is little wonder that Nok Air’s name is derived from the Thai word for ‘bird’. Their colourful brand is as noteworthy as their all-smiling cabin crew, ensuring their passengers have an unforgettable flight. Nok Air’s airplanes are regularly maintained by international standards, and they are the first airline in Asia to operate the NextGen version of Q4 aircraft, renowned for reduced noise emissions. In an effort to make flying easy and convenient for as many people as possible, Nok Air’s route network extends far and wide to the northern, southern, and central regions within Thailand. In addition to flights, Nok Air also offers a Fly ‘n Ferry service to the major islands, as well as a Fly ‘n Ride service to its neighbouring countries. Book Nok Air flights to Krabi, Phuket, Ho Chi Minh City and other exciting places! Passengers can purchase additional checked luggage of between 15-40kg. Additional baggage allowance of between 5-25kg may be purchased. Nok Smile Plus members are allowed an additional 10kg of checked baggage. Nok Air offers a pet carriage service, transporting dogs, cats and rabbits through Nok Air Cargo. For domestic flights, travellers can check in from 2 hours until 45 minutes before take-off. For international flights, check-in counters are open from 3 hours until 1 hour before departure. Those on the move who wish to skip the queues can check in with mobile devices for domestic flights only, between 24 hours and 45 minutes before flight departure. Travellers who prefer to check in online can do so for domestic flights only, between 24 hours and 1 hour before take-off. Simply print your boarding pass, drop your luggage, and proceed straight to the boarding gate. Please note that boarding gates close 10 minutes before take-off. For a low-cost airline, Nok Air has some impressive onboard facilities. In true Thai style, you can expect warm hospitality on board a Nok Air flight. 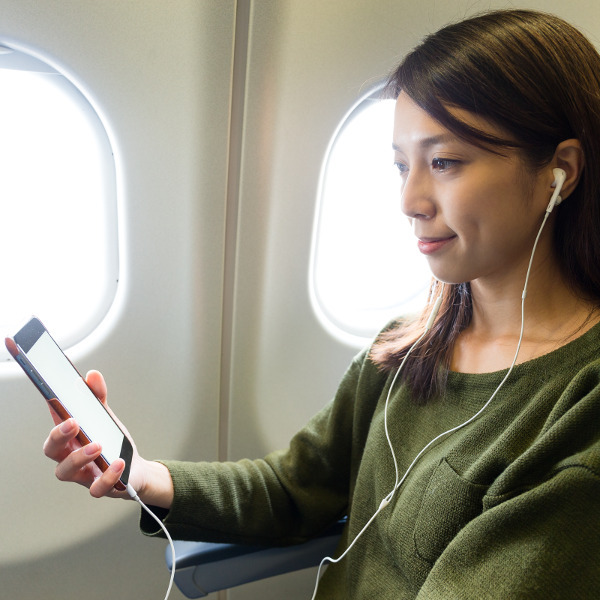 Stay connected during your flight with Nok Air’s free onboard Wi-Fi! This service is currently available on five of their aircraft. For a little extra comfort, the Nok Premium Seat offers extra legroom, priority check-in, and priority boarding and baggage – all at a small extra fee of between 300 and 500 Baht (12-15 US$). Please check the airline’s webpage for up-to-date information on their Premium Seat policy. While complimentary meals are not included on your flight, you may pre-order a meal up to 24 hours before your flight, operated on Boeing 737 aircraft only. Take advantage of their special selection of hot and cold beverages and snacks, available for purchase on board. 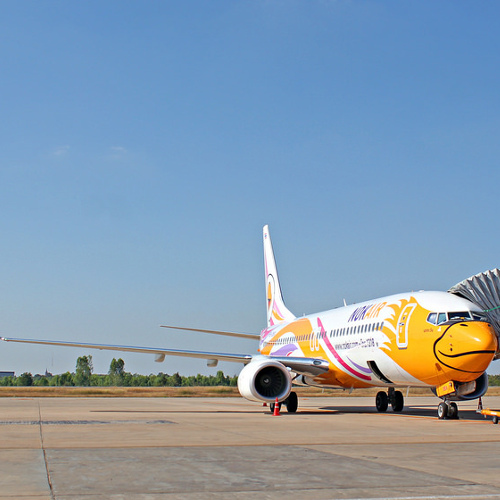 Nok Air flies to 31 destinations throughout Thailand and Southeast Asia. In addition to flights, the airline also offers onward ferry connections and cross-border coaches.